Brothers Amos and Dan Winterslip discuss Dan's latest amour, a shady lady named Arlene Compton of whom the moralistic Amos does not approve. Dan, the family ingrate, throws his brother out of his beachside Honolulu house. His sister Minerva arrives with the news that another family member, cousin John Quincy Winterslip, is being sent to Honolulu to bring her back to Boston as, in the conservative family's opinion, she is having too much fun. Dan sobers when he sees a newspaper item about the arrival to the islands of T. M. Brade. During a stopover in San Francisco, John Quincy's Uncle Roger takes him to a house and gives him a strongbox marked "TMB". Roger instructs him to throw it into the Pacific the next day when his boat is out at sea, as per Dan Winterslip's orders. While the pair is in the house, a mysterious figure jumps from the shadows and tries unsuccessfully to make off with the box. 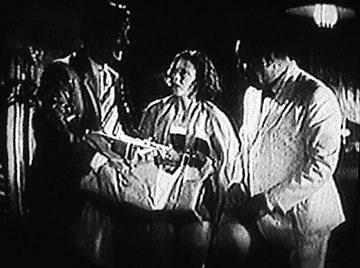 Aboard the ship for Honolulu, John Quincy is about to toss the strongbox over the rail, but he is suddenly overcome by an unidentified person who quickly runs off with the box. On deck, Harry Jennison, Dan Winterslip's lawyer, and Barbara, Dan's Daughter, who are returning to Honolulu, decide to get married. An excited Barbara sends a radiogram to her father. Meanwhile, in Honolulu, Dan goes to see Arlene to ask that she return the emerald brooch that he had given to her as a gift. She lies and says that the brooch is being repaired at a jeweler's and promises to bring it to him later. That evening, the captain of the passenger ship announces that, since the ship has arrived too late to dock, that it must remain at anchor offshore until the next morning. At Dan's home, Minerva finds a prowler hiding in the shadows. Out of fear, she does not let on to the fact that she is aware of the intruder's presence, although she notices that the person is wearing a distinctive watch that glows in the dark. After the prowler has left, Minerva discovers Dan dead in his den. The police are called, and, at the police station, Captain Hallett receives the report of the murder. Hallett immediately calls Charlie Chan who is awakened along with his ample household. Soon, at the crime scene, the doctor reports that Dan was stabbed in the heart and that his arm was broken. Chan questions Minerva, who relates the only identifying characteristic of the intruder that she could make out: the glow-in-the-dark wristwatch, mentioning how she noticed that the numeral two was blurred. She also tells Chan that she remembers a James Eagan of the Reef and Palm Hotel calling repeatedly the day before the murder. The next morning, at the hotel, Chan and Hewett, who are joined by John Quincy at his own request, are questioning a reticent Eagan who is very insistent on leaving. Chan reminds him that he had had an engagement with Dan that he had cancelled. Eagan admits that the two men had met at around 11:00 in Dan's garden. Eagan, who had not spoken to Dan in twenty-three years, refuses to reveal to Chan the nature of their meeting. Carlotta, Eagan's daughter, walks in on the group, having just arrived in Honolulu aboard another ship. She is upset because her father was supposed to have met her at the dock, but she is grief-stricken to find that her father is now a suspect in the murder of Dan Winterslip. Carlotta rebukes John, who has openly stated his feelings of Eagan's apparent implication in his uncle's murder. With her father in police custody, Carlotta must now run the hotel. As she watches the desk, Brade, a guest, informs her that he will be away for a few days. Koahla, Dan's houseboy, enters with a package for Brade, but leaves when he is informed of the latter's absence. Later, noticing Koahla hiding on the hotel grounds, John attacks him and retreives the package. He is stunned to find that it contains the strongbox that was stolen from him aboard ship. Soon, a shot is fired at John, narrowly missing him. Chan arrives, and John gives the box to the detective, who opens it only to find that it is empty. Later, Amos Winterslip is found dead, and Chan captures a beachcomber who wears a wristwatch matching that described by Minerva. Shortly thereafter, Chan assembles all of the possible suspects at Dan's house for a final meeting at which he plans to reveal the identity of the murderer. When Chan asks Brade about the box, Brade states that Dan Winterslip had stolen jewels from his father thirty-five years earlier when Dan was a mate on his father's ship, and that he had scrimped and saved for all those years for the chance to reclaim his due. When the emerald brooch, which was found at the crime scene, is produced, both Arlene and Brade claim it. Brade describes matching jewelry that went with the brooch, which Chan soon discovers hidden in a secret compartment in the strongbox. Chan then produces a check for $5,000 that Dan had made out for Eagan. When Egan still refuses to explain his relationship with Dan, Chan tells Hallett to arrest him. Carlotta cries out at the injustice and admits that she had read her father's diary, which had told of an incident, thirty-five years earlier, in which Eagan, then a young bank teller in Australia, had changed Dan Winterslip's South American gold into English pounds. Eagan, being the only man alive who could identify Dan as the thief of Brade's gold, had tried to blackmail him. Koahla then admits that, knowing of Dan's fear of Brade, had arranged for the theft of the strongbox in San Francisco in order to blackmail Dan. Chan then has his eldest son, Oswald, bring in Berkeley, another passenger on the boat, and claims that he is the murderer, as water and seaweed which were found at the murder scene prove that someone swam from the ship on the evening in question. Berkeley suddenly tries to make a run for it, but he is caught by Jennison, who breaks his arm in the same fashion that the late Dan Winterslip's arm had been fractured. Chan dramatically accuses Jennison of being the real murderer, stating that Berkeley was bravely playing an assigned role. Chan also reveals the content of Dan's reply to Barbara and Jennison's radiogram wedding announcement. The message, which had never reached Barbara, contained a warning to Jennison that, unless he broke off the engagement, Barbara would be disinherited and that Jennison's past misdeeds would be exposed despite injury to both Jennison and himself. Tan lines on Jennison's wrist reveal that he is indeed the owner of the watch that Minerva had seen glowing in the dark on the night of the murder. Jennison had lost the wristwatch in the surf as he had begun his swim back to the ship after he had murdered Dan Winterslip. It was on the beach that the beachcomber had found and picked up the watch. Moments earlier, during Berlekey's "attempted escape," Chan had laid his gun on a table in the room. Jennison suddenly grabs the gun and tries to flee while holding everyone at bay with the detective's gun. However, Chan calmly walks toward Jennison who tries to shot the detective, but the only sound heard is the click of the empty gun, and Chan easily subdues the murderer. 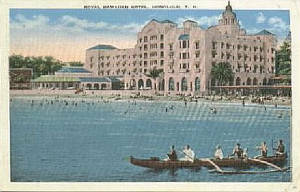 Later, with the case successfully solved, John and Carlotta embrace contentedly in front of the Reef and Palm Hotel, as Chan and his whole family drive up in their new Ford touring car, a gift from a very grateful Minerva Winterslip. NOTES: This is one of the four "lost" Charlie Chan films, having been destroyed in the fire that consumed the 20th Century-Fox film storage facility at Little Ferry, New Jersey on July 9, 1937. An illustrated script-based reconstruction of Charlie Chan's Greatest Case can be viewed at our collection of "lost" Charlie Chan films. The novel upon which this film was based, The House Without a Key, was published in serial form in The Saturday Evening Post between January 24 and March 7, 1925. This was the first novel in which the character Charlie Chan appeared. In 1926, Path produced a serial based on the same novel and titled, The House Without a Key, which was directed by Spencer Bennett and starring Allene Ray and Walter Miller. Like when eating peach - start outside and work to center. Humbly suggest not to judge wine by barrel it is in. To be found listening to what is not meant for your ears is to show that you have something to conceal. Only make haste when catching flea. Worry not - what is to be is to be - and inscrutable Fates very busy arranging program. Theories like fingerprints - everybody has them. Facts and motives lead to murderer. Every fence have two sides. Time only wasted when sprinkling perfume on goat farm. Hasty accuse - leisurely repent. Law is honest man's eyeglass to see better. Sometimes beneath eyes that weep are teeth that laugh. Wisdom is strong lever to pry knowledge loose. A soft word does not scratch the tongue. To conceal oneself from law is like trying to hide in bird cage. Empty as Robin's nest in January. Make haste only when withdrawing hand from mouth of tiger. Cat who tries to catch two mice at one time, goes without supper. Luck and inscrutable Fates extremely necessary. Very often circumstantial evidence carry conviction. Sometimes sad world. Baby cries when born. Empty gun only kill guilty man. Two lovers in moonlight cast only one shadow. (Amos Winterslip: "You cannot live a life of sin, and hope for happiness in the hereafter.") Profound wisdom, but not helpful at present. (Cope: "Are you trying to be funny?") Funny as man can be about murder. (Mrs. Chan: "Two lovers in moonlight cast only one shadow.") Yes. One shadow now - many shadows later. Charlie Chan is solving a Honolulu murder this time, one that will provide screen audiences with the desired suspense as well as more than the average amount of comedy such pictures contain. Extremely popular in some parts of the country, the Chan stories having gotten pretty wide circulation, every reason to expect this one will keep up the good work. All but one sequence, in San Francisco, is laid in Hawaii amidst settings and costuming that is tropical but, in that direction, not overdone. For murder mysteries it's a pleasant change of locale. A lengthy and capable cast carries out what the scenario offers. Oland gives his usual smooth performance as the murder-solving sleuth, this time unraveling the stabbing of an island bachelor who has made his dough by foul as well as fair means. In some respects it is merely tried-and-true deducing but, mingled with comedy, picture stands up nicely. In addition to the laugh content it has more love interest than the average murder yarn. Photography impressive and continuity good except at the beginning. CHARLIE CHAN'S GREATEST CASE (Fox) The amiable Charlie Chan is back again! He tracks down the murderer of the philandering Robert Warwick and between dashes of Chinese philosophy and proverb also paves the way to romance for Heather Angel and john Warburton. Again Warner Oland comes through with an ingratiating performance as the Oriental sleuth. The film moves along at a nice pace, and the cast performs creditable. Islands, and is the gratification of a life-long desire." THE NOTATIONS ON JOHN QUINCY'S LUGGAGE: "J.Q.W." and "Boston"
ACCORDING TO ROGER WINTERSLIP, THE AMOUNT OF TIME THAT DAN WINTERSLIP SPENT IN SAN FRANCISCO: "He comes over here perhaps for two months a year..."
THE SHIPS AS REQUESTED BY CAPTAIN COPE: "The Matsonia or the Australian boat..."
THE DEPARTURE TIME FOR THE "AUSTRALIAN BOAT" AS STATED BY CAPTAIN COPE: "Tomorrow at noon." THE INCENTIVE OFFERED BY MR. HIGGINS TO CAPTAIN SHANE IF THE PRESIDENT TYLER COULD BEAT THE MATSONIA TO HONOLULU: "...I'd give a thousand dollars to the Seamen's Fund if you could make it." THE TIME, AS STATED BY CAPTAIN SHANE, THAT THE PRESIDENT TYLER MUST REACH HONOLULU HARBOR IN ORDER TO DOCK THAT SAME DAY: "...five o'clock in the evening, (or) we'll have to lie outside the harbor overnight." ACCORDING TO REVEREND UPTON, THE TIME THAT HE KNEW DAN WINTERSLIP: "...forty years ago." ACCORDING TO REVEREND UPTON, DAN WINTERSLIP'S OCCUPATION WHEN HE KNEW HIM FORTY YEARS AGO: "He was a blackbirder (in the South Seas)." INFORMATION, ACCORDING TO REVEREND UPTON REGARDING HIS MEETING DAN WINTERSLIP FORTY YEARS PREVIOUS: "I met him when he was first mate on the Maid of Shiloh." THE OWNER OF THE MAID OF SHILOH, ACCORDING TO REVEREND UPTON: "...Thomas Michael Brade"
REVEREND UPTON'S STATEMENT REGARDING BRADE'S DEATH: "Brade died when they were in port, at the Apiang Islands. Dan brought him ashore and buried him." ACCORDING TO JAMES EGAN, WHERE HE HAD MET DAN WINTERSLIP: "Twenty years ago I was a bank teller in Sydney, Australia. We met there." ARLENE COMPTON'S SUGGESTION TO DAN WINTERSLIP FOR A REPLACEMENT FOR THE BROOCH THAT HE WANTED BACK FROM HER: "...that darling emerald necklace we saw in the arcade of the Royal Hawaiian." ACCORDING TO THE QUARTERMASTER, THE DISTANCE OF THE ANCHORED 'PRESIDENT TYLER' FROM THE SHORE: "It's a good two miles." 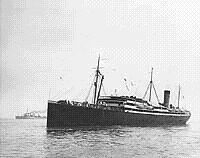 THE TIME AS MINERVA WINTERSLIP TELEPHONED THE ROYAL HAWAIIAN HOTEL TO REACH CAPTAIN COPE JUST AFTER HER BROTHER, DAN, IS FOUND MURDERED: 1:20 a.m. ACCORDING TO THE DOCTOR, THE FACTS OF DAN WINTERSLIP'S DEATH: "Stabbed through the heart. Not been dead an hour. Arm broken..."
ACCORDING TO MINERVA WINTERSLIP, THE TIME OF HER BROTHER DAN'S DEATH: "It happened within two minutes of fifteen past one." A DISTINGUISHING FEATURE REGARDING THE ILLUMINATED WRISTWATCH OF THE KILLER, AS NOTED BY MINERVA WINTERSLIP: "...the numeral indicating the hour two, was slightly obscured." WHERE MINERVA WINTERSLIP THREATENED TO SEND FOR ASISTANCE IN ORDER TO SOLVE THE MURDER OF DAN WINTERSLIP: Washington, D.C. THE TIME, AS NOTED BY CHARLIE CHAN, AS HE SUGGESTS THAT EVERYONE GET SOME SLEEP: "Time rapidly flying to three o'clock (a.m.)." 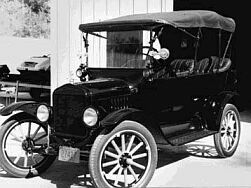 A 1919 Model T Ford touring car, the type driven by Charlie Chan. THE TIME BY WHICH, ACCORDING TO JAMES EGAN, HE HAD TO BE AT THE DOCK TO MEET HIS DAUGHTER: "...within five minutes..."
ACCORDING TO CHARLIE CHAN, THE TIME AS JAMES EGAN HAD MET WITH DAN WINTERSLIP AT THE LATTER'S HOUSE: "...sometime after eleven (p.m.)..."
AS STATED BY JAMES EGAN, THE LENGTH OF TIME THAT HE AND DAN WINTERSLIP HAD MET: "We talked a half an hour..."
ACCORDING TO JAMES EGAN, THE LENGTH OF TIME THAT HE HAD LIVED IN HONOLULU: "...twenty-three years..."
CHARLIE CHAN'S COMMENT REGARDING "CORSICAN" CIGARETTES: "They are not for sale here on this island." THE LENGTH OF TIME THAT THE MATSONIA HAD BEEN DOCKED, ACCORDING TO JAMES EGAN: "...fifteen minutes..."
WHEN HARRY JENNISON MUST LEAVE FOR CHINA, ACCORDING TO MINERVA WINTERSLIP: "...next week..."
THE LENGTH OF TIME THAT HARRY JENNISON MUST REMAIN IN CHINA, AS STATED BY MINERVA WINTERSLIP: "...(he) will be gone a year." AS CLAIMED BY ARLENE COMPTON, THE LAST TIME THAT SHE HAD SEEN DAN WINTERSLIP: "...last Friday." THE TIME SET BY CHARLIE CHAN TO HAVE ALL SUSPECTS GATHER AT THE WINTERSLIP HOME: 8:30 p.m. ACCORDING TO T.M. BRADE, THE CONTENTS OF THE "FORTUNE" THAT DAN WINTERSLIP HAD KEPT AFTER THE DEATH OF THE FORMER'S FATHER: "...South American gold and jewels." T.M. BRADE'S STATED PROFESSION UNTIL HE RETIRED: "...a (British) Civil Service worker in India..."
AS NOTED BY CHARLIE CHAN, THE TWO DISTINCT TYPES OF TOBACCO USED IN "CORSICAN" CIGARETTES: "One extract of Virginian, other of Turkish influence." A 1933 Ford touring car. T.M. Brade: "I gave Eagan here a couple because he said he was famished for a good, homey fag." Second Man: "Most of the time we can see the Golden Gate and Mount Tamalpais." Carlotta Egan: "What's in there - a high hat?" Oswald Chan: "Oh, everything's Jake." Charlie Chan: "It was not difficult to discover your record as champion swimmer and student of dishonorable jiu jitsu." Barbara Winterslip: "Aunt Minerva once said something like that - but she traded her lorgnette for a ukulele." Captain Arthur Temple Cope: "Matsonia or the Australian boat..."
Second Man: "Ever see Mount Tamalpais?" Minerva Winterslip: "This is all poppycock..."
Charlie Chan: "A strong swimmer could have left steamship President Tyler." Arlene Compton: "Do you remember that emerald necklace we saw in the arcade of the Royal Hawaiian?" Script direction notes: He looks like a Chinese Skippy. ukulele ('ukulele) - (Hawaiian) A musical Hawaiian string instrument. Literally: "leaping flea," probably from the Hawaiian nickname of Edward Purvis, who was small and quick and who popularized the instrument brought to Hawaii by the Portuguese in 1879. Barbara Winterslip: "Aunt Minerva once said something like that, but she traded her lorgnette for a ukulele."